The same type of battery is used for Tesla, using a nickel plate connection + integral mounting bracket. 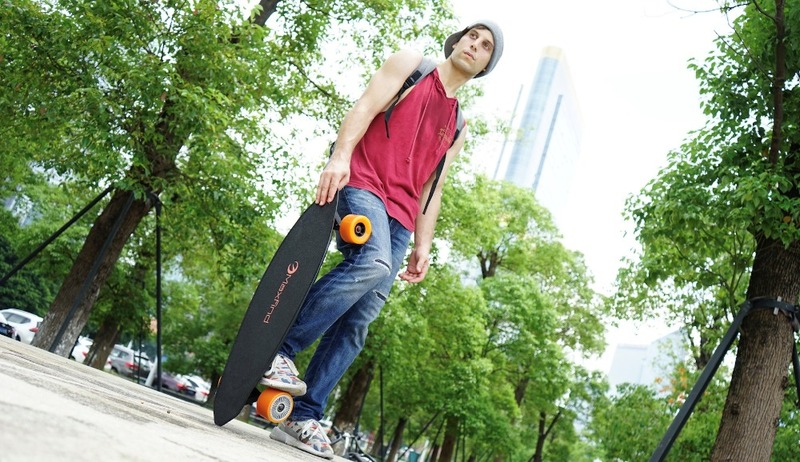 The use of skateboard batteries is very safe and stable. The BMS intelligent power management system cooperates with the counter-bias brake charging technology of the main control board to convert the kinetic energy of the brake into electrical energy and store it in the battery. 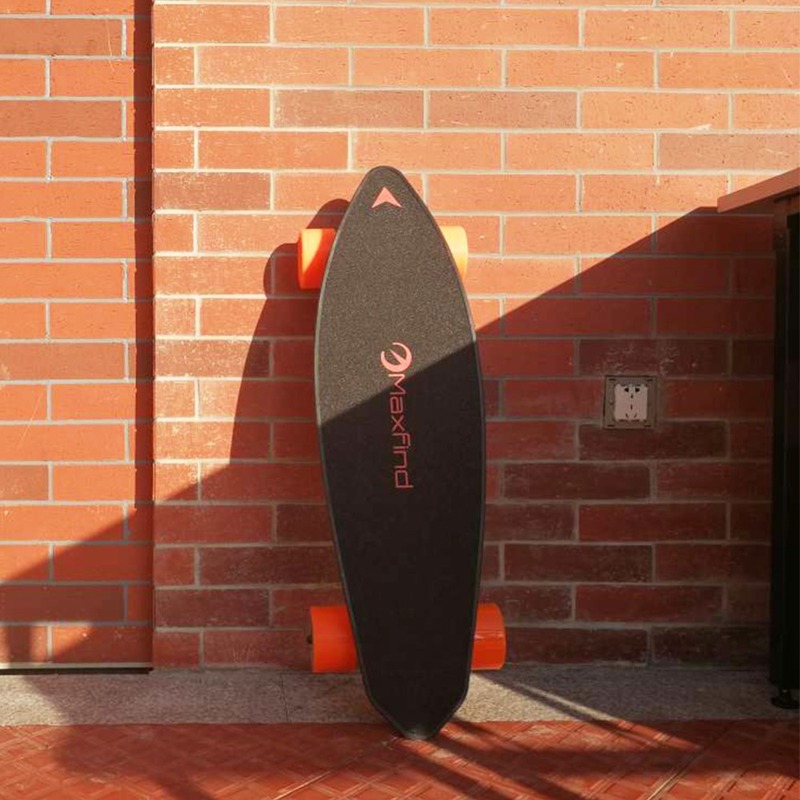 After increasing the number of batteries to 20, the power life will stand out among the peers, running 28km at a time. The diameter of the direct-drive motor is increased to 90mm, and the imported magnetic steel sheet and pure copper coil are used for more than 1000w. The movement efficiency and torque are improved by more than 35% under the optimization of the new winding process. In order to improve the heat dissipation performance of the air convection cooling system as a whole, the engine is designed as a honeycomb (radial) heat dissipation aluminum sheet to increase the heat dissipation area and improve the heat dissipation effect. A tribute to Cadillac, inspired by its diamond-cut design, the diamond-cut design can be seen from the side, the tail or the back. 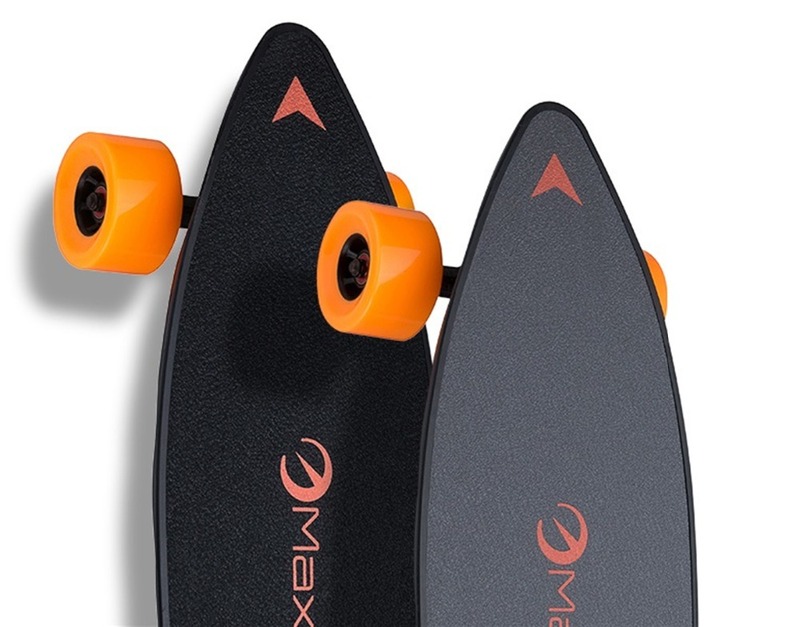 In order to create such a light and delicate body texture and edge, the MAX2 uses a high-strength synthetic composite material, the design elements of the 31inch fuselage are retained to the maximum extent while effectively reducing weight. 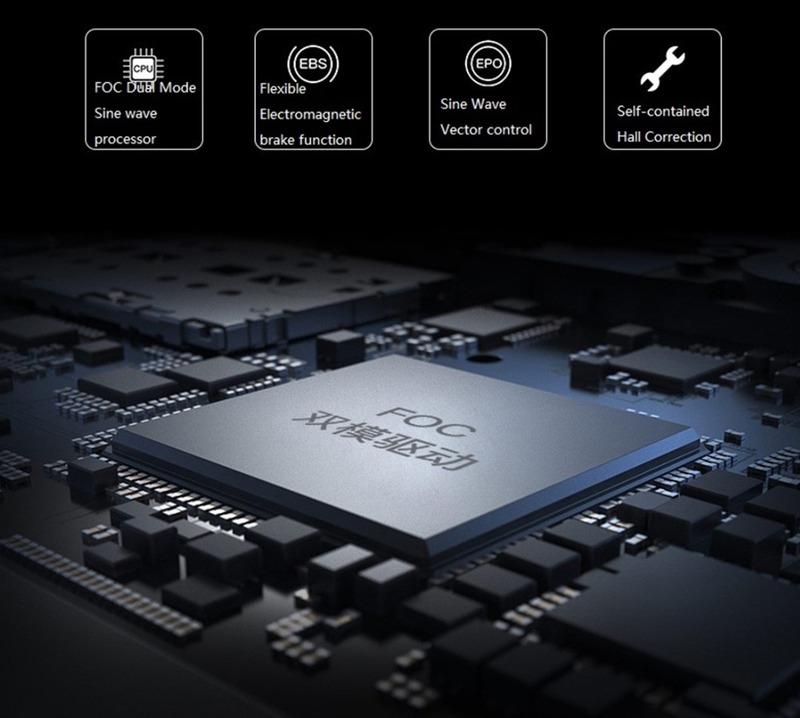 The savvy brain of MAX2 comes from a deeply developed dual-mode drive permanent-magnet synchronous 32-bit microprocessor core. 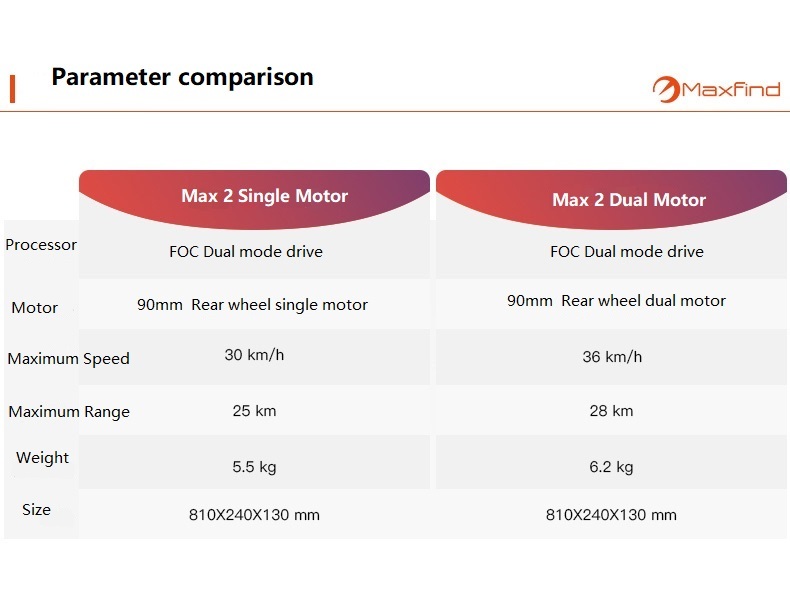 Using the FOC sine wave drive architecture ESC and power system, the motor control transition is smoother, and the overall efficiency of the motor ESC is increased by 30%. 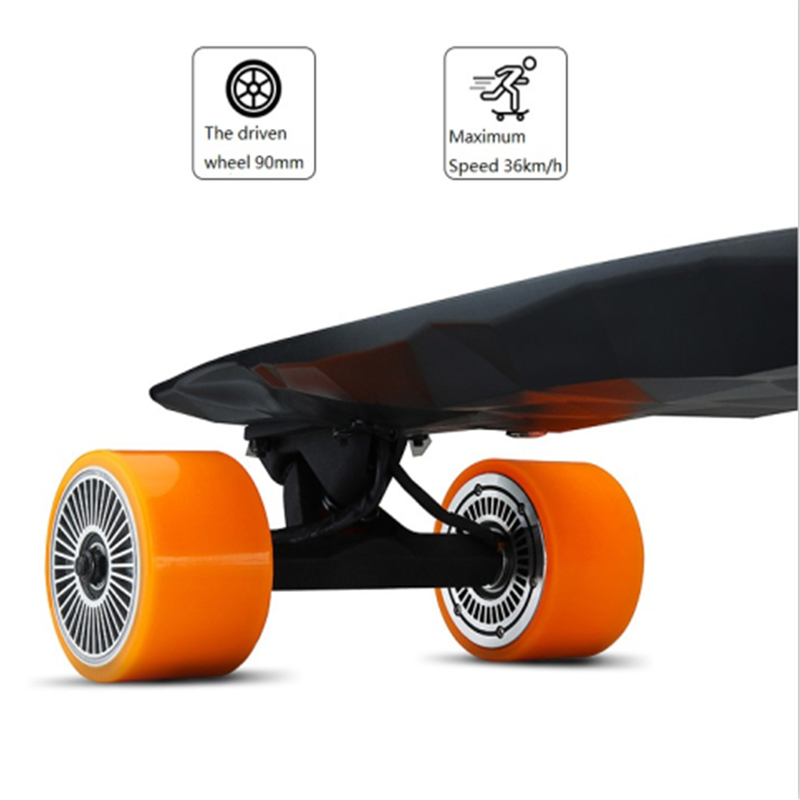 The (EBS) kinetic energy recovery function, through the motor power storage and reuse, increases the skateboard cruising range flexible electromagnetic brake function (EBS), comes with Hall error correction and repair function, and achieves the same comfort and safety as the car ABS brake. 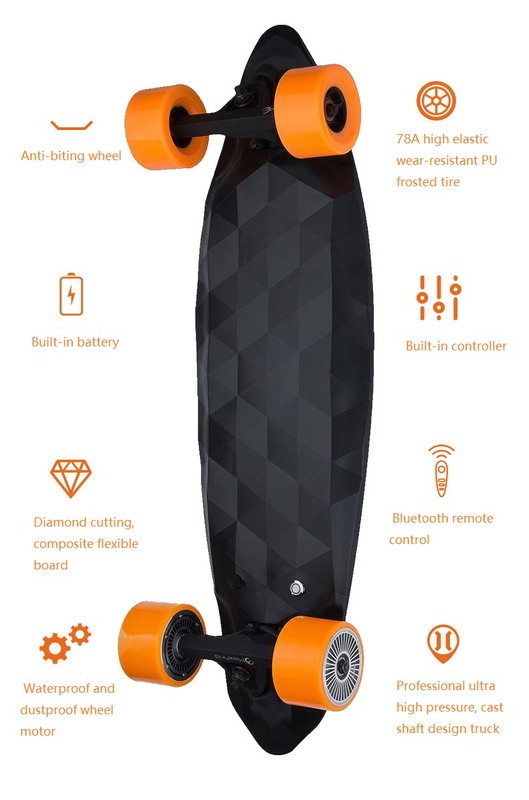 The main board and battery are completely installed into the integrated diamond board, and the motor is completely enclosed in the rear wheel. This design provides up to IP65 dust and water protection for the entire vehicle. 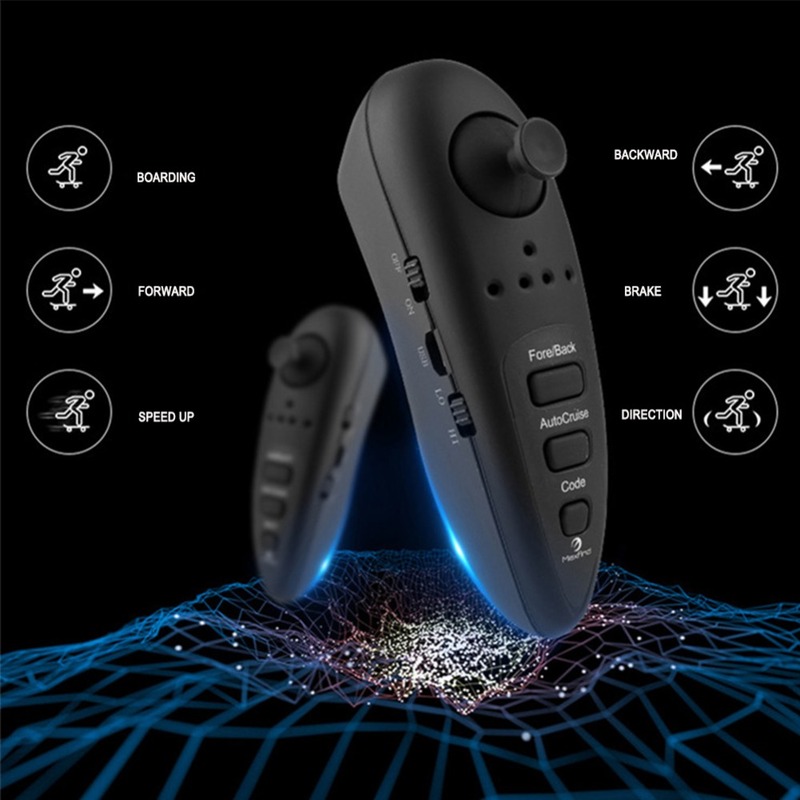 The remote control is ergonomically designed for a comfortable grip. A new generation of enhanced wireless technology, support 2.4/5.8GHz FM dual-band, communication without blind spots. 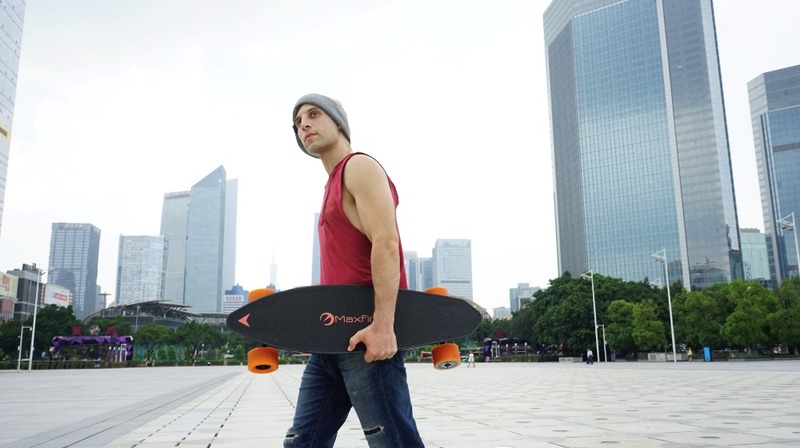 Switch between speed and direction for more skateboarding fun. Exclusively develops cruise control and enjoys the black technology of the Cadillac sports car. Designed in collaboration with Spanish designers, the AISIMg5 material for automotive trains is molded in a high-pressure casting mold to increase the compactness of the product and the sand hole ratio is less than 0.5%. The impact resistance of the product is at least 3 times that of the ordinary bracket. The special black yarn spraying process of scratch-resistant, with a deep black, interpretation of the noble and low-key noble quality. We have experienced hundreds of material formula trials, overcoming the technical difficulty far beyond the past, exiting a non-slip mat that is different from traditional emery and using PVC and PEA synthetic materials, making anti-skid lines through the embossing roller process, and then hitting Color design production. 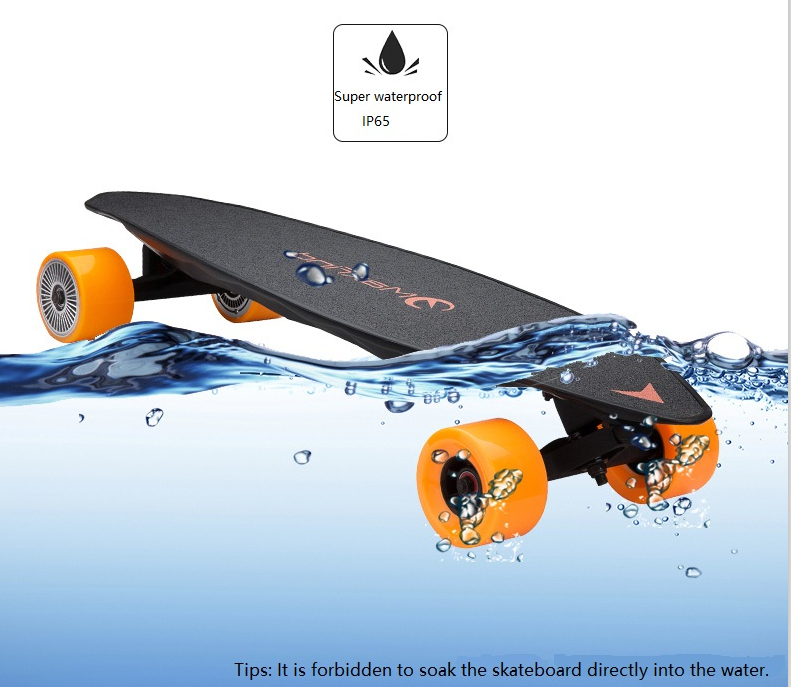 Under the anti-slip effect, it can prevent scratches and scratches. Behind every ingenuity is a technological breakthrough that is unique. Receive 180 days warranty when ordering from us. 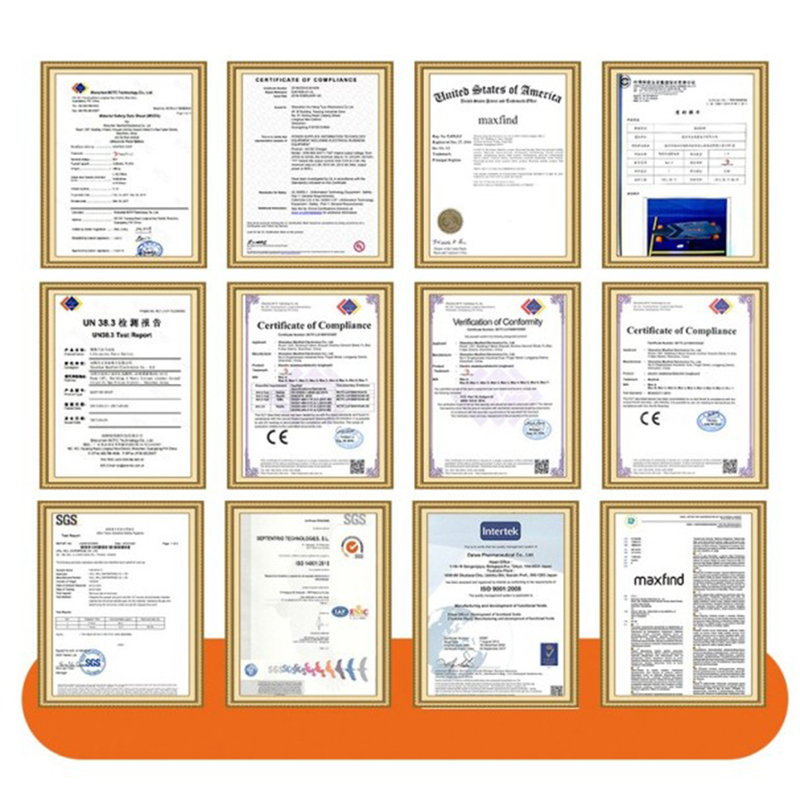 We back up our products with six months warranty. If somehow you experience quality issues with our board, please email us directly. We will help you find where the problem is and offer you the free replacement parts. Shipping costs are free（However, the freight sent to the repair point is paid by the customers.）. 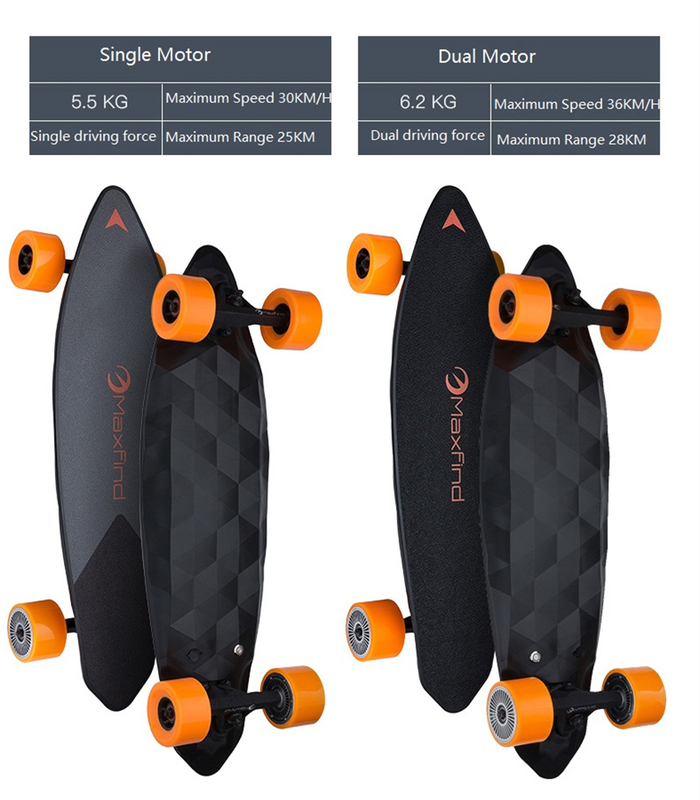 If the six months warranty expires, we will still offer you replacement parts at very low prices so you can get your board fixed and continue riding. 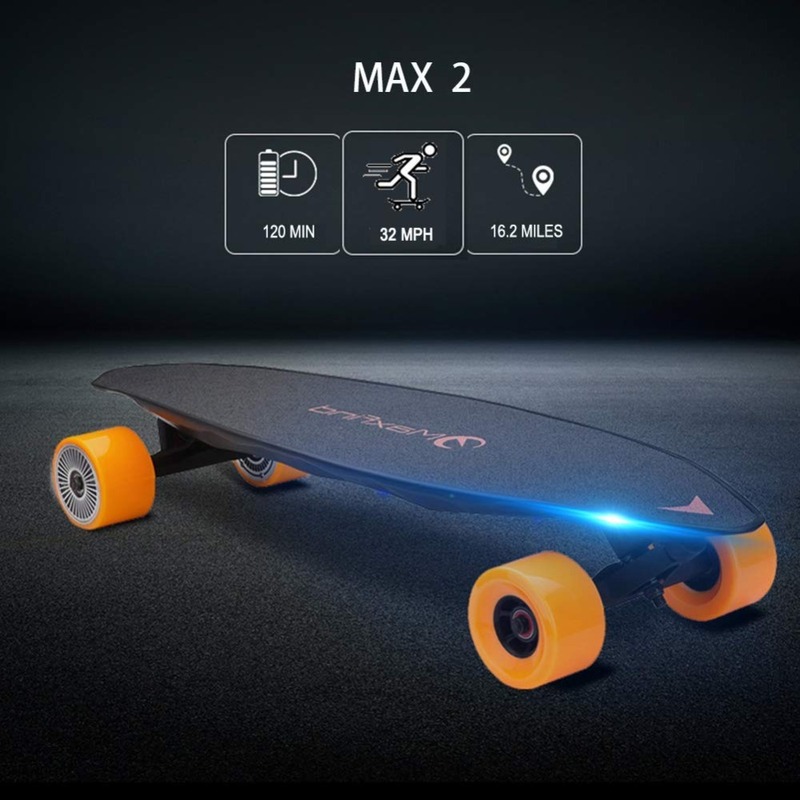 At first, press the power button about 3 second (the button located at the bottom of the skateboard) untill the power button blue light was turned on, the skateboard will give "didi" sound and the power button keeps blue light. And then turn on the remote controller, you will hear "di" sound, see the remote indicator twinking and four LED indicators bright on the remote, finally power on operation is finished. Please make sure the speed mode's switch is located at "LO" (LO means low speed mode, speed 8km/h). please be sure NOT to switch the speed mode while your are sliding on the boards! 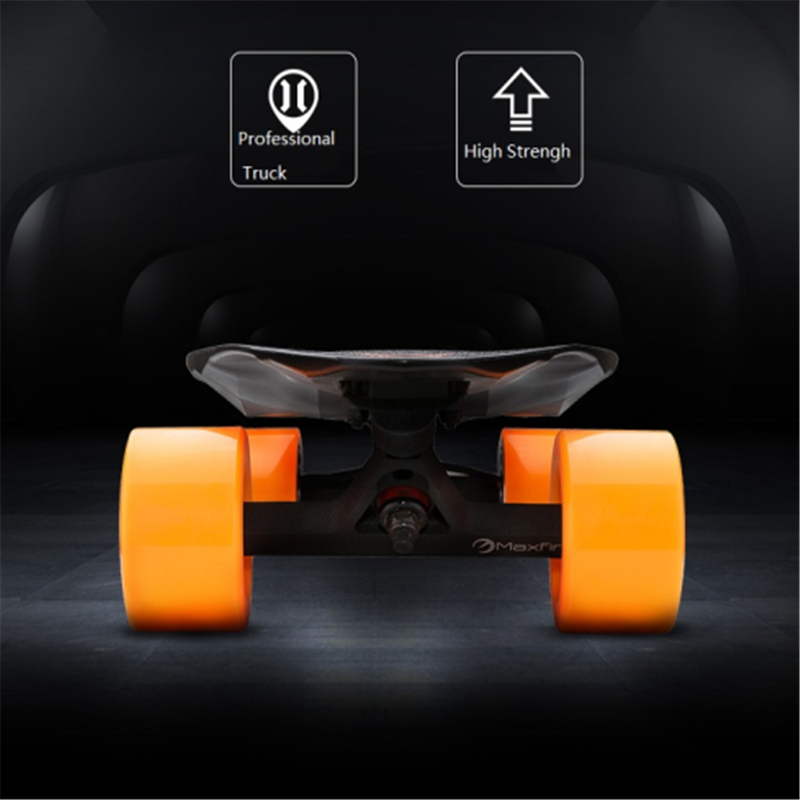 At first draw down the control trigger to let the skateboard stay brake condition. 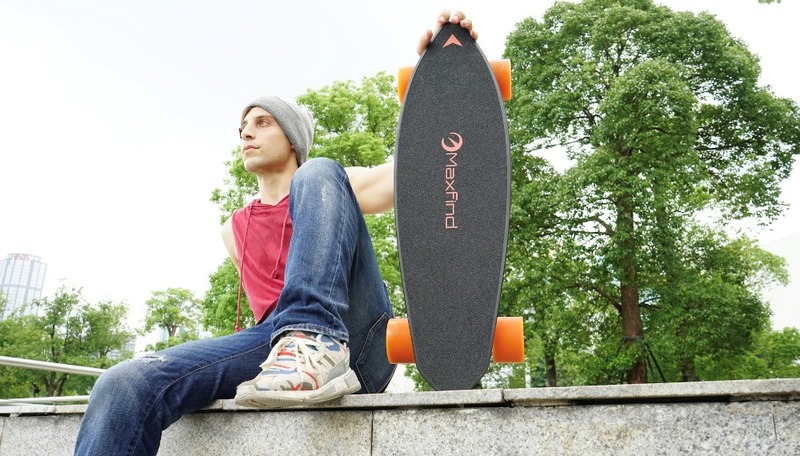 then put your feet up separately and make sure keep your knees benting, maintain control of your body's center of gravity over the skateboard. 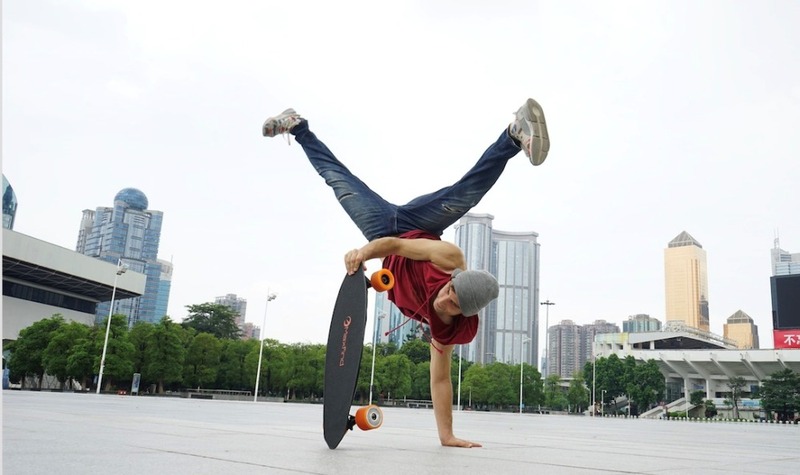 Use your own sole and heel, incline the skateboard to a suitable tilt angle, the inclined direction is as same as the turn corner direction. 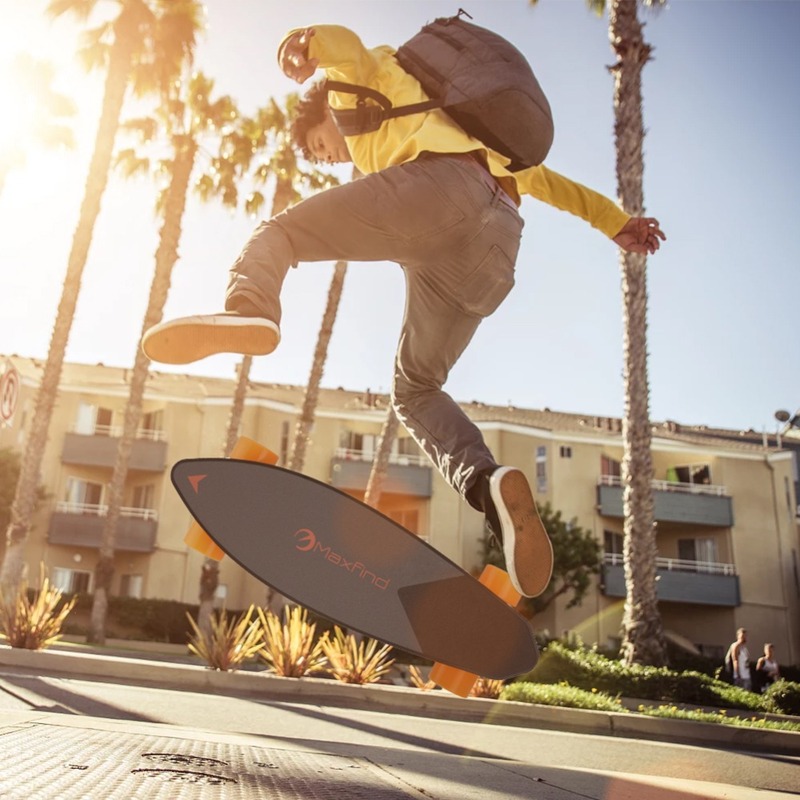 When you turning a corner, please lower your body's center of gravity to avoild loosing gravity and fall off the skateboard. After you finished sliding, please turn off the remote controller power first and then turn off the skateboard power. 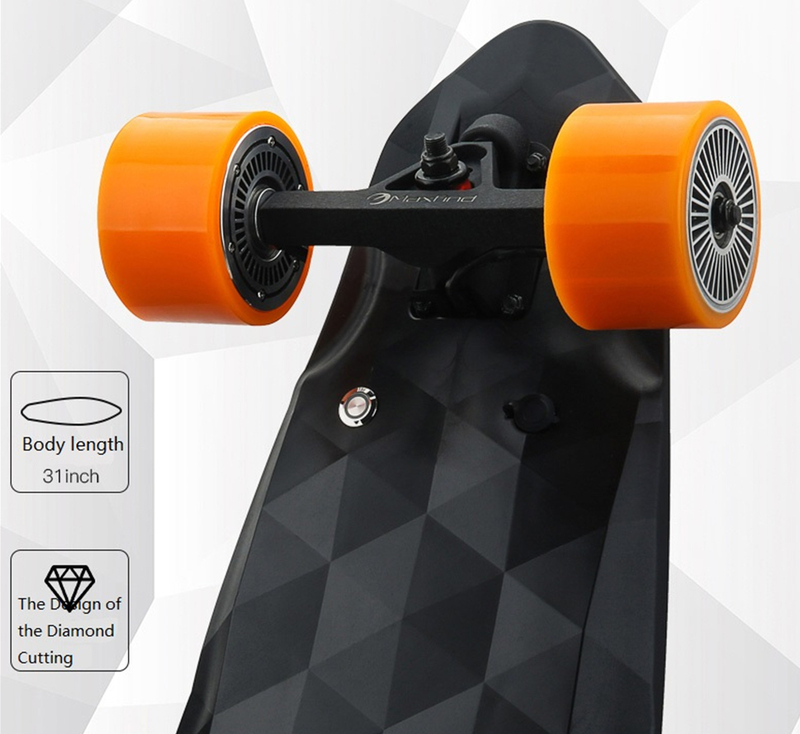 The skateboard power will be automatic shut down in 8 minites after you leave the skateboard along.